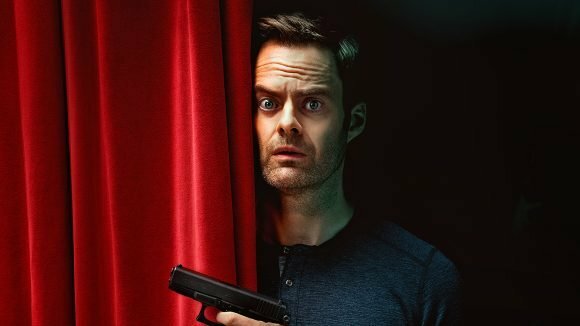 ☆☆☆☆ “Bill Hader and Alec Berg’s Emmy-winning Hollywood hitman comedy returns for a second season with fewer laughs and more pathos … Through its first three episodes of the season, Barry has simply become a half-hour drama, albeit one with occasional snarky jabs at the entertainment industry and a Chechen mobster with alopecia, but a drama nonetheless. I miss the punchlines, while finding plenty to admire in the show’s not-totally-new incarnation.” — The Hollywood Reporter. ☆☆☆☆ “If Barry played it safe during parts of Season 1, it’s not anymore … Barry Berkman is on the verge of becoming the next Walter White, and Barry could very well go the Breaking Bad route if it wants to — that’s how dark the series is getting, and it’s not a front. It’s really, really good. Get ready.” — IndieWire. ☆☆☆☆ “While the new episodes maintain the show’s satiric view of self-interested Hollywood types, a poignant theme emerges which represents an evolution for the series. As an introspective Barry takes inventory of his past misdeeds, the show’s storylines cohere around the reflexive lies people tell themselves, and the myriad factors which comprise the masks they present to the world.” — Slant. ☆☆☆☆ “Barry ended its season on one of those major plot points that can potentially throw a show for a loop, and raises questions about where it goes from there. The answer, almost immediately, involves dealing head-on with what happened, while establishing a new threat that has the potential to be teased out over the course of the season … The show deftly juggles a variety of tones, managing to be funny, quirky and intense all at once.” — CNN. ☆☆☆☆ “As a character study of a sad yet dangerous man who should never be encouraged to ‘access some rage,’ Barry is a triumph — as long as you’re not expecting a laugh riot.” — TV Guide.